The thread list has been completely refactored. The post list is next! 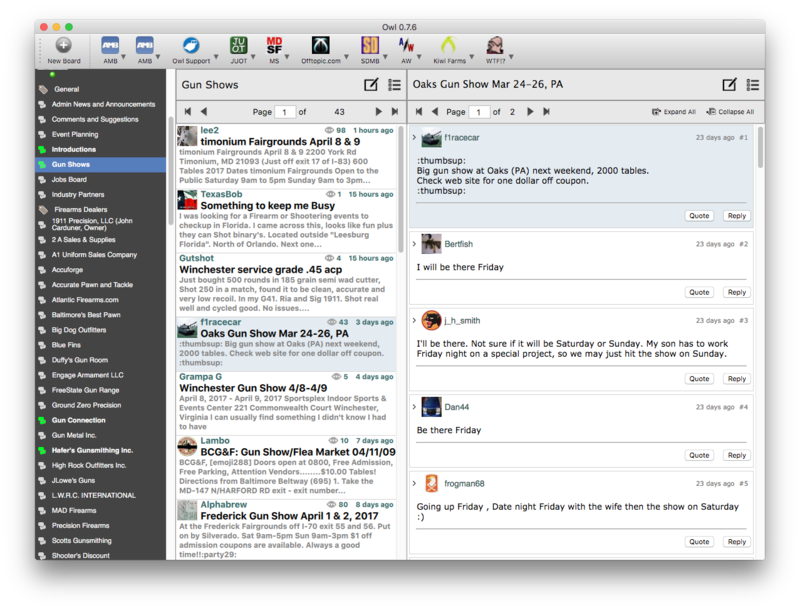 As we announced last week, we at working on a command like interface for Owl. Here is a small preview of it in action. With the new version of Owl we will be referring to it as “OwlReader” and we are also working on a new application, OwlConsole. 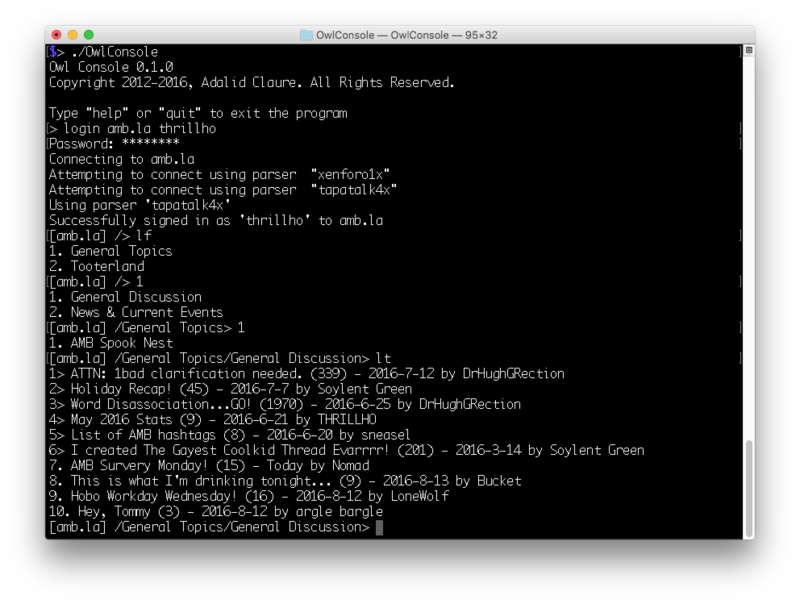 This app is a console application that will enable users to navigate message boards through the command line. 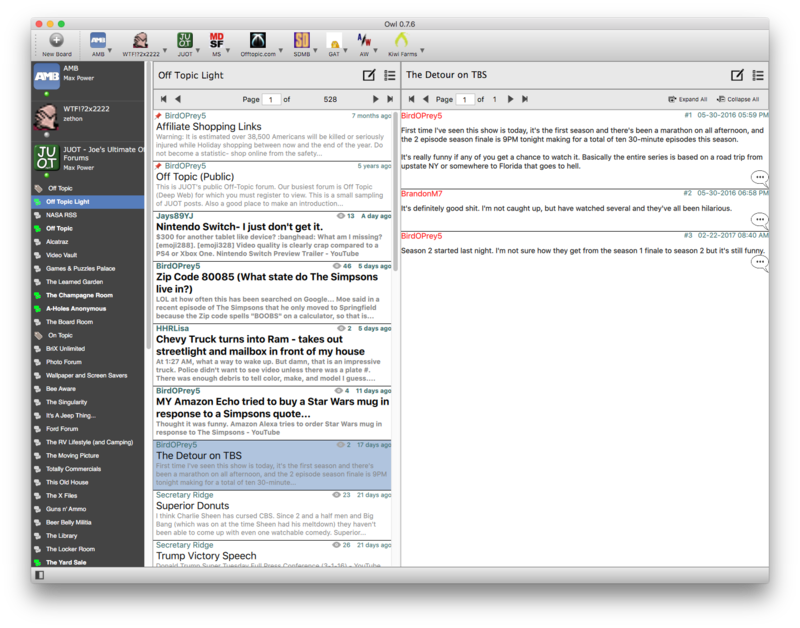 This screenshot shows some basic functionality such as logging into a board, listing the forums and listing the threads in a forum. 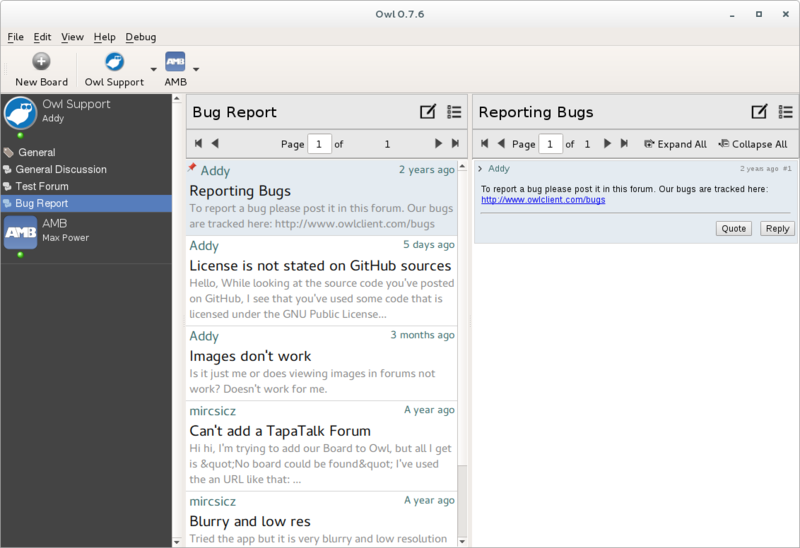 We hope to release OwlReader 0.7.6 and OwlConsole 0.1.0 at the same time. Look for a late September release.